This is what Melbourne loves. 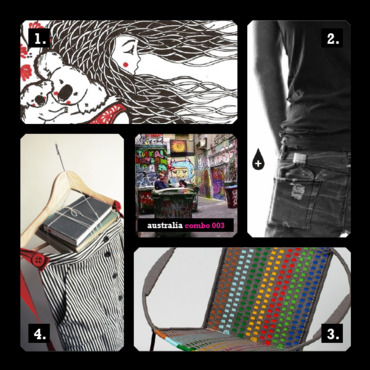 Packed fresh with the most loved fashion, products and places around town - this is your Melbourne Weekly LoveBento. Probably one of the most cutest things we've stumbled across, this is one touchy feely little bunny that goes everywhere, inside and out. And there's more. When you visit our most loved Garden Life in Sydney, they have hot accessories including our fav. golden naughty gnomes. We just love Friends of Leon Gallery. And right now they are presenting the amazing Swedish artist Anneli Olander. This exclusive exhibition is being held in Surry Hills just for Australian Fashion Week. Annelli is listed as one of the top 100 illustrators in the world. 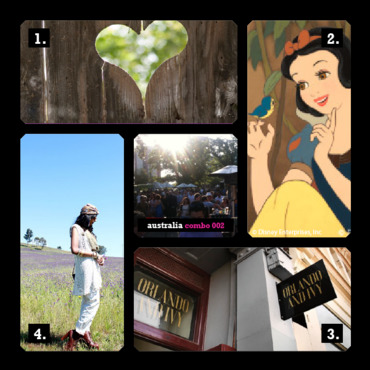 We love her style - a must-see for everyone in Sydney this month. We love this interior concept store in Sydney's Surry Hills. Their style is super relaxed and modern. There's nothing try-hard here. Trust us - you'll want everything for your pad, as soon as you walk in. LoveBento fans keep telling us how much they love, love love this florist, Bud Flowers. And now we know why. Their gorgeous, original window displays turn heads every day with creative displays like this one, seen nowhere else. They also stock a few small ranges of locally made products too. A must visit. 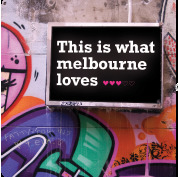 WIN Tickets to LMFF's Fashion Week with LoveBento! Set to be one of our favourite sale events at this year's Loreal Melbourne Fashion Festival, Fashion Weekend will be the place to be for amazing designer purchases. We can already picture all the clothes and accessories from Aussie designers like Arabella Ramsay, Alpha 60, Life with Bird & many more, just waiting for us. Sign Up Now to Win tickets! 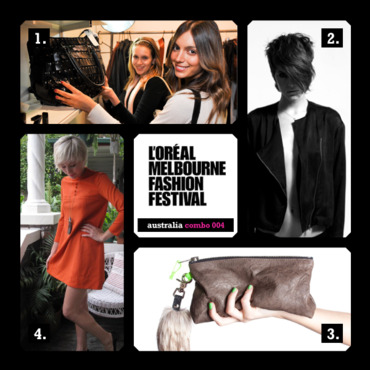 We have exclusive tickets to Fashion Weekend at Loreal Melbourne Fashion Festival to give away! To be in the draw to win tickets all you need to do is sign up to receive LoveBento straight to your inbox! It's called the Melbourne Fashion Directory and it's becoming the fashion bible for those who like to stay in the know, as it comprises the fashion 'hit' list. One high-profile LoveBento fan told us how it's her secret weapon, keeping her connected to the fashion and production industry. Available at Mag Nation and select boutiques. We love the ever-so-stylish 3rd year RMIT fashion student Kate Lancaster, who has just completed an 8 week internship with Alice Euphemia. When she showed us the gorgeous leather clutches she created, we instantly fell in love. Available in 3 colours with clip on ’tails’, these clutches are a must this Autumn. 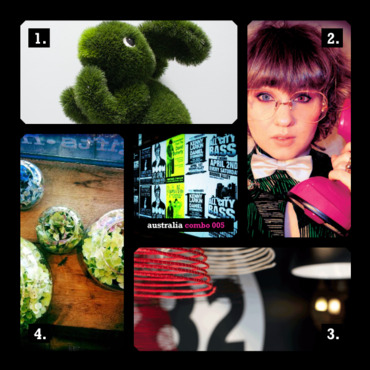 We love Maryanne and her cute Facebook vintage shop. She left her day job to realise her dreams and we're super glad she did. Maryanne told us how much she loved the way that wearing vintage helped link to the untold stories of previous owners and bring back long lost memories. You'll want to check out the treasures she has online now. Love. We love the Frankie Sunshine online store. 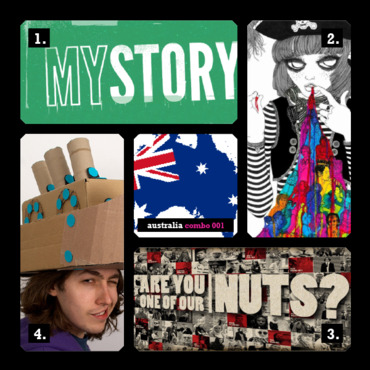 It's creator - Kate lives in Newcastle, NSW and is a big lover of young designers. Her motto - I want people to be able to shop with a smile on their face. So she created an online store so with great labels like This is Genevieve, Sumakhi, Totem, Fair Ground, Style Stalker, Finders Keepers, Cameo and more. There's so much fun in reminiscing about those films we all used to watch as kids. That's why we can't wait to check out the Dreams Come True exhibition at ACMI. It's a chance to check out all of the behind-the-scenes sketches, models and art from some of Disney's most loved movies! We love browsing for gifts (for ourselves as well as others) at Orlando and Ivy. It's a little shop on Victoria Street, North Melbourne, with a big selection of awesome and creative giftware, books, stationery, knick-knacks for the house and lots more. We love them because on cold days they even give you a cup of fresh, fruity tea to sip on while you try to restrain yourself from buying everything in the shop. The talented Shikha from Sydney had an obsession with vintage clothing for a long time, so as little as five months ago she launched the gorgeous online eBay store Red Mera Vintage. We think it's the perfect online store to visit for Christmas presents - even if they are for yourself! Love. Matt Blackwood is an Australian writer, filmmaker and teacher who's been given, non-other than a City of Melbourne Laneway Commission to create MyStory. It's a free locative storytelling project where you experience short stories in the places they are set. We especially love the mobile app with narrated audio and text. Love this. We are completely in love with Perth artist Alexandra Lekias. Her next exhibition at Sydney's Friends of Leon Gallery is set to be bigger than ever. With black and white illustrations, oozing with water colour, Alexandra explores her childhood and pop culture with super- style. See you there! Ok they look like Bento Boxes so we had to feature them. When a LoveBento fan told us about Harvest Box we instantly fell in love. Healthy snacks delivered to your desk during the week - who couldn't fall head over heals for this innovative Australian business. Plus snacking (healthily) is proven to boost your metabolism. They deliver all over Australia -summer it up. Yep, we know LoveBento-ites are all big kids at heart and so that explains why we're so obsessed with Makedo. This very hip Aussie company, make these neat little plastic connectors that allow you to turn whatever you have around the house or office into something very arty and extremely random. They're now shipping all over Australia - love.